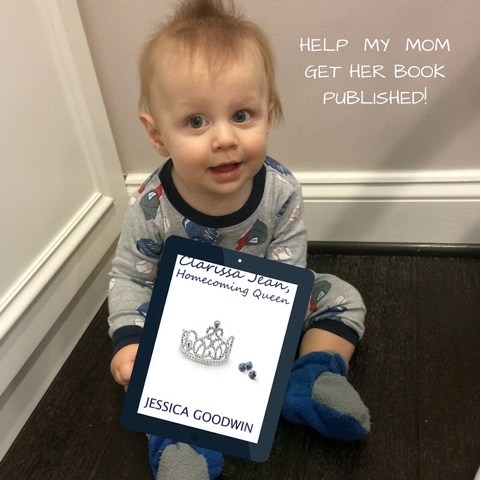 I decided to take a chance and enter my latest book, Clarissa Jean, Homecoming Queen, in Amazon's Kindle Scout Program. Kindle Scout is Amazon's crowd sourced publishing platform. Authors enter their books, they have 30 days to campaign, gain support, and gather nominations for their book. If they receive enough nominations to show that there is interest, and if the Kindle Press team likes what they read, the author is offered a contract with Kindle Press and anyone who nominated the book will get to download an advance copy! In 30 days, Clarissa Jean was viewed almost 6,000 times. The book appeared in the Kindle Scout Hot & Trending List for over 90% of the 30 day campaign period. The book was on there 24 hours a day for the last two and a half weeks straight! Despite what I thought were great numbers, Clarissa Jean wasn't picked. I'm disappointed, but it happens. In the meantime, I learned a few things. I have awesome friends and family (well, I actually already knew that!) who supported me. They liked my posts, shared my links, and retweeted my tweets over and over again! My husband and his friends are awesome social media marketing experts. They got my author Facebook page seen by thousands of people! It really is a small world. A Kindle Scout reader who nominated Clarissa Jean visited my Facebook page and left me a comment letting me know that she had voted. I saw her location (a teeny tiny town in Florida where I'd loved with my parents when I was in college) and realized that she looked kind of familiar. It turns out that we worked together in a movie theater (in that teeny tiny town) more than 15 years ago! And also, it doesn't hurt to have a cute baby in your promotional efforts... I mean, who can resist that face?! I was also able to connect with lots of fabulous new readers and book bloggers. I'm excited to announce that I will be the Author of the Week at Hello, Chick Lit in early May! Clarissa Jean will be released in April/May. Yay! So when will you find out the results? Have all my fingers and toes crossed for you! It sounds like a great program and even if you don't end up getting selected, look at all the people who support you and share about your work! That's so awesome!